Love of my Life - I could have married it. The softest and most delicate machine I’ve ever worked with. It makes me feel sure that I’ll always finish a tattoo on time. I use the HAWK Spirit as my main tattoo machine because I can make a lot of different techniques with it. 2,5 stroke makes the machine very fast and perfect for smooth details. The Cheyenne HAWK Spirit heralds a new era of this classic tool: It is every bit as precise, safe, and hygienic. But this new design is even sturdier than before, with new features such as a protected cable jack connection. The HAWK Spirit is a sensitive machine that boasts the "Manufactured in Berlin" quality seal. The ergonomic grip guarantees even more security and comfort while you work, with a design that rests easily in your hand. Do you want to create a relaxing and focused work environment for yourself and your customers? The HAWK Spirit’s quiet Precision DC Motor makes it possible. The Cheyenne HAWK Spirit revolutionized tattoo art with its small, flexible, and incredibly lightweight design, weighing only 68 grams. All the same, it provides stable and intuitive operation. It adjusts to your every move, making your job easier. The HAWK Spirit allows for smooth, consistent work – it’s the ideal tool for filling. The HAWK Spirit is easy to cover, allowing you to work safely and hygienically. 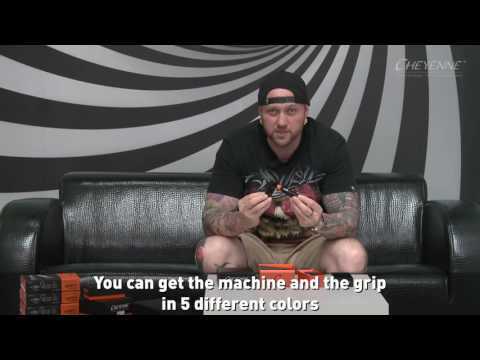 This machine gives you the choice of two available HAWK Grips, the 1-INCH and Standard, for even more comfortable tattooing. And with a selection of five colors, you can create your own machine, tailored to your tastes. 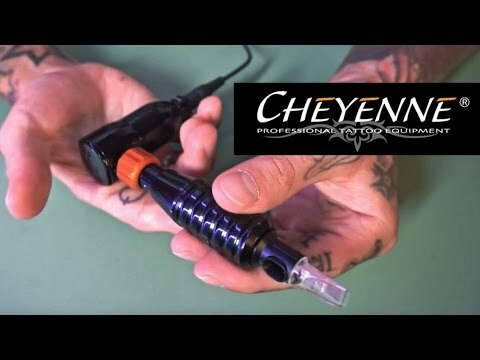 The Cheyenne HAWK Spirit: The unbeatable, perfect tool for artists. For filling and soft shading.